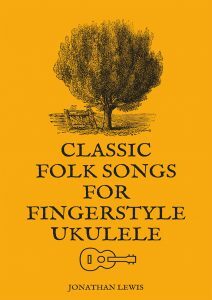 The uber talented Jonathan Lewis (the author of Celtic Tunes for Campanella Ukulele) has released another ebook, Classic Folk Songs For Fingerstyle Ukulele. Jonathan’s new book features 16 fingerstyle folk arrangements for you to get to grips with. It’s aimed at beginner to intermediate players that are looking to further develop their playing skills and costs just $12. The arrangements are based on a classic fingerstyle method and are a little more easy-going than Celtic Tunes For Campanella Ukulele. 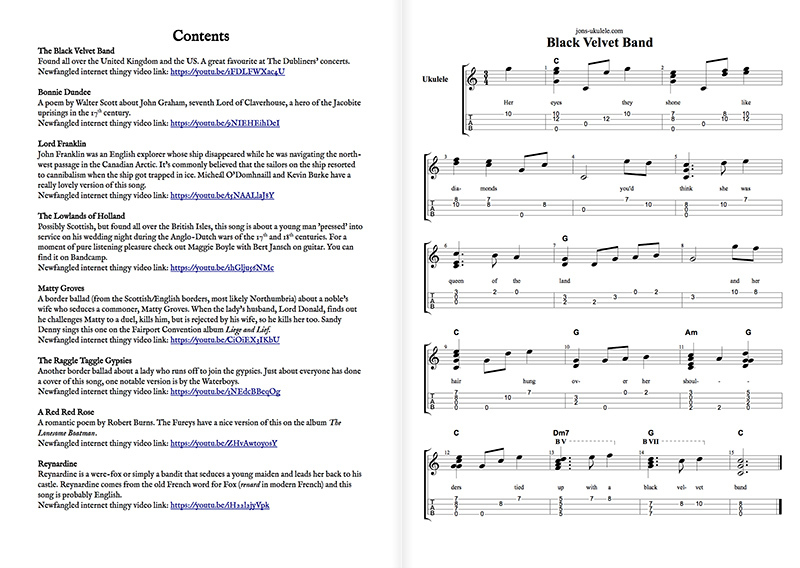 Each of the sixteen arrangements include tablature, musical notation and lyrics/song structure. Jon also gives a little background to his method for working out his arrangements, why he chose the songs and some explanation to the origin of each song. It’s a nice touch to add a little context to the songs. 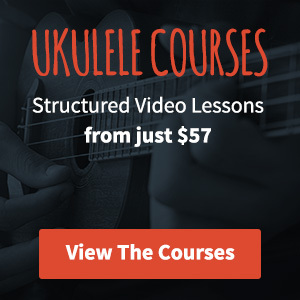 All of the arrangements have supporting Youtube videos and slowed down MP3s to help you learn. You even get the Guitar Pro 6 file for the arrangements should you wish to tweak to your own taste.